Given PSTAs recent history with following the law, this Section seems very weak. There are no penalties for failing to comply with this Section. Note also that the County retains its Zoning authority in this Section. Retaining this authority and how it is applied will have a lot of impact on the "transit oriented redevelopment" portion of Greenlight plan. account of any injuries or damages received or sustained by any person, persons, or property, on account of any negligent or willful act or omission, or neglect or misconduct of PSTA; This paragraph shall not be interpreted to waive any immunity from or limitation of liability that PSTA may be entitled to under the doctrine of sovereign immunity or Section 768.28, Florida Statutes. Standard contract language, but usually the Force Majeure clause is repeated in the Agreement for clarity. 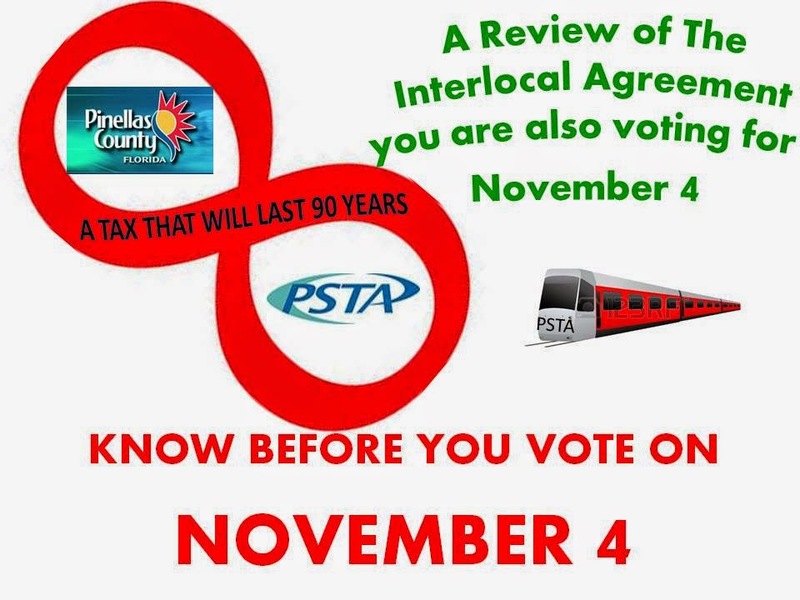 Both the County Board of Commissioners and the PSTA Board have formally approved this Agreement.